Sometimes you don't need a big bag. Just something small enough to take a lip balm and a few notes and coins. Uses just a tiny amount of fabric, so its a great scrap buster project. *Use it to hold a few essential inside your main purse, hygiene supplies, lip stick, tissues/wipes. 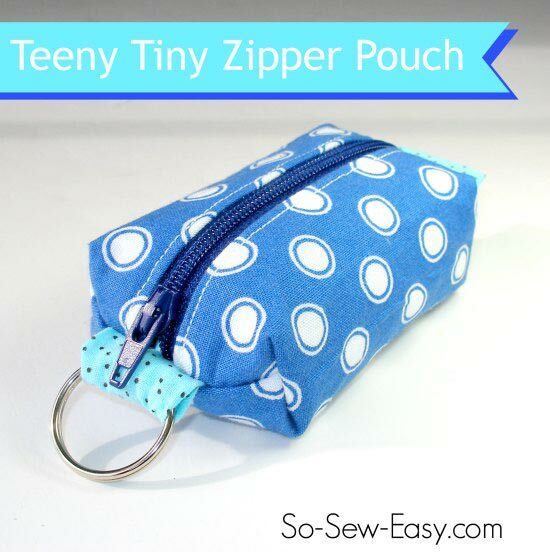 Find more details on the key ring zipper pouch here.